More reporters are behind bars than ever before. The Committee to Protect Journalists said 259 journalists were in jails around the world as of Dec. 1. That's the highest tally since the committee started keeping records in 1990. The number has risen mainly because of a crackdown on media in Turkey following a military coup attempt in July, the CPJ said. At least 81 journalists are currently behind bars in Turkey facing charges related to their work -- the highest number in any one country at any one time, according to the CPJ. Dozens more journalists are imprisoned in Turkey but the CPJ was unable to confirm a direct link to their work. "Every day that Turkey's journalists languish in jail in violation of that country's own laws, Turkey's standing in the world is diminished," said CPJ executive director Joel Simon. People protest against the arrest of 13 journalists from Cumhuriyet Newspaper in Istanbul. In a separate report on Tuesday, Reporters Without Borders said the number of professional journalists detained in Turkey quadrupled following the failed attempt to oust President Recep Tayyip Erdogan. 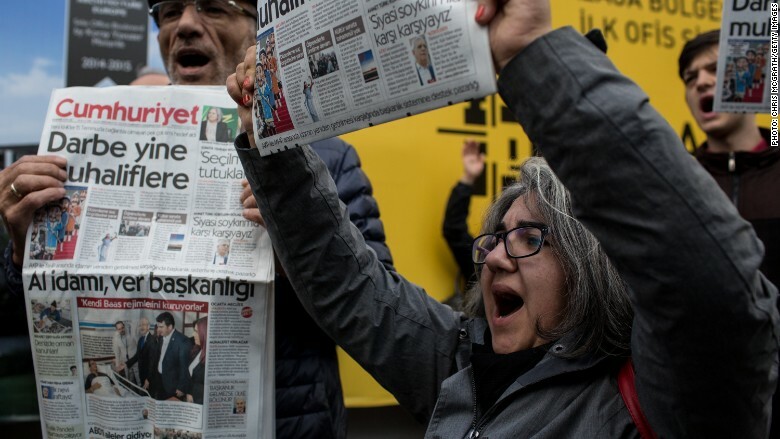 "At the gateway to Europe, an all-out witch-hunt has jailed dozens of journalists and has turned Turkey into the world's biggest prison for the media profession," said Christophe Deloire, the secretary general of Reporters Without Borders. 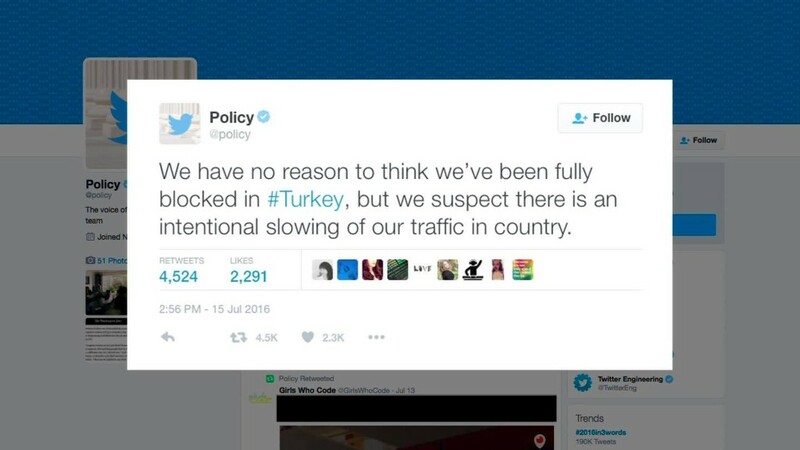 The government had closed down more than 100 media outlets in Turkey in recent months. China, which had the most journalists in jail in 2015 and 2014, dropped to second spot. There were 38 behind bars in 2016. "This, however, should not be interpreted to mean that press freedom in China has improved in the past year," said Yaqiu Wang, an Asia researcher at CPJ. "On the contrary, China has cracked down on human rights news websites, banned original reporting on the Internet, prevented journalists from traveling, and tightened its grip on Hong Kong media," she added. China has been named the world's worst jailer of journalists 18 times since 1990. Egypt, Eritrea, and Ethiopia are third, fourth and fifth worst jailers of journalists, according to the report.